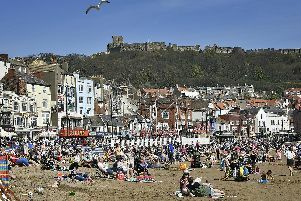 Letter: Does Scarborough Borough Council follow the Nolan rules? What a joke Scarborough Council is. They administer Futurist in a shambolic fashion - the decision may be right but the handling was a disaster. Then they mishandle the South Cliff Bowling Club ‘sale’. My family visited tennis competitions and the bowls club in 1920s-1960s, with friends and workmates from British Rail, working men’s club etc. An unsecured loan (£9 million) to Benchmark Leisure (Private Eye) is embarrassing. Do they ever work in accordance with the Nolan Principles of public life? 6. Honesty - Holders of public office should be truthful. 7. Leadership - Holders of public office should exhibit these principles in their own behaviour.